AGNES Short Necklace Gold. 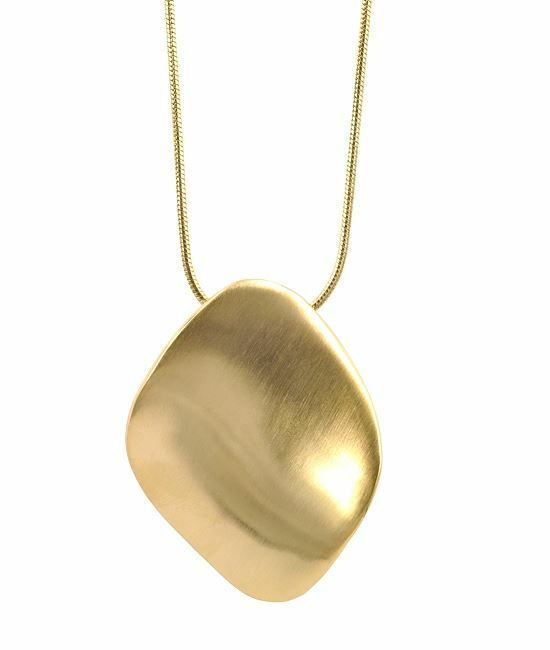 Gold plated necklace with a wave-shaped plate. Height of the plate: 3.8 cm. Color: Mixed matte and Shiny Gold. Material: Stainless Steel. Length: 38 cm + 6 cm extension chain. Gold plated necklace with a wave-shaped plate. Length: 38 cm + 6 cm extension chain.